FORMER England bowler Steve Harmison has tipped Worthing Cricket Club’s leg-spinner Mason Crane to be picked for England’s series away to Pakistan this winter. Crane claimed his maiden five-wicket First Class haul for Hampshire last week when he took 5-35 against Warwickshire. 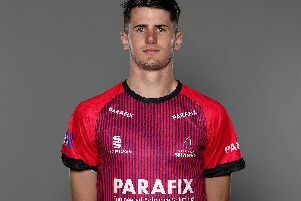 The 18-year-old signed his first professional contract with Hampshire last month and has ten First Class wickets in two matches, three wickets in three T20 games and ten wickets in six List A one-day games this season. Speaking to the BBC, Harmison said: “I think England have got to give serious consideration to taking Mason Crane to the UAE (United Arab Emirates) as third spinner.